Offer includes Master´s Degree, technical programs, open courses, and lectures for the general public. October. Young people and adults interested in specializing in the areas of Science and Technology have a new educational option in the province, thanks to an agreement signed by Tecnológico de Costa Rica (TEC) and Coyol Free Zone to offer Master´s Degrees, technical programs, open courses, and lectures in Centro Coyol’s facilities. The initiative will showcase the following programs: Master´s Degree in Medical Devices, Master´s Degree in Supply Chain and Master´s Degree in Modern Manufacturing Systems. Also Technical Degree in Quality, Technical Degree in Logistics and Inventory Technician, Warehouse Management courses, SolidWorks, and Excel for Businesses in Logistics and Lectures. These programs are open to the public, and respond to the most urgent needs of the hundreds of companies in the area, to generate trained human resources with strong demand in the market. “The availability of the highest-level human resource is one of the priorities of Coyol Free Zone. The 28 companies that work internally grow year after year and with that the requirement of trained personnel also grows. 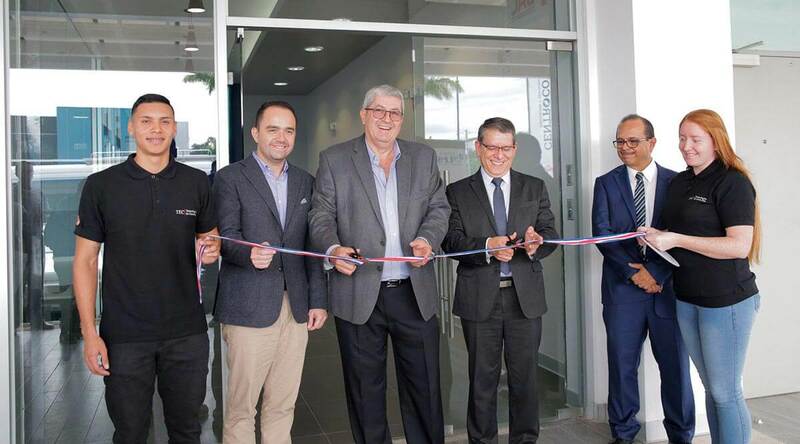 With this agreement, we take one more step to improve the technical capabilities of qualified candidates, which allows us to generate higher quality jobs for the community of the province of Alajuela” said Álvaro Carballo, President of Coyol Free Zone. In Coyol Free Zone – the free zone where Centro Coyol is located – 28% of the total exports of Free Zones in the country and 51% of the national medical devices exports are generated, so it is essential to have trained talent to develop the large number of specific tasks required by the industry. “TEC has always distinguished itself by having a strong link with the socio-productive sector. Precisely, with initiatives like these, we take our highest quality academic programs to interested companies. I am sure that TEC’s relationship with Coyol Free Zone will give concrete results in the quality of training required by the human talent of organizations settled here” said Julio Calvo, rector of TEC. This agreement will integrate courses from the School of Engineering in Industrial Production, and the School of Business Administration, and will allow students to prepare themselves to achieve greater productivity and quality based on technology. In addition, they will be offered different hours and educational degrees.